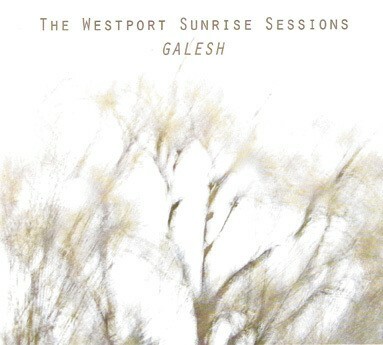 At 23 minutes it’s here and gone in a relative flash, but the new EP from the Westport Sunrise Sessions (a partly local trio whose moniker more suggests the next box set of unearthed Dylan demos) is one of the most curiously memorable records to amble down the pike in a good while. Unencumbered by vocals, Galesh coolly zags when others would zig, which gives the record as a whole a proggy vibe. But start breaking down the six songs into their building blocks—passages of daydreamy guitar pop, funk vamps, dub-inspired basslines, and even metal-caliber riffage—and you’ll realize that by refusing to settle into genre, the WSS kind of lays claim to all of them. On its website—where the entire record can be downloaded for free—the trio (which includes Chronogram contributor Jason Broome) declares an interest in breaking out of old routines by blending extended improvisation with a hands-on, no-rules approach to reworking the songs in the studio. Whether or not this was a difficult process, the airy, easygoing results speak to the three musicians’ chemistry: “Can’t” ebbs and flows in a groovy style, consistently returning to a casual three-note guitar figure, while “Mata Hari’s Dream” does right by its title, spinning a seductively smoky vibe. “Mods” is the only tune to overtly display actual dub techniques—all wobbly bass and spectral drums—but that kind of in-studio intrepidness marks each song in one way or another. www.diablodulce.com.